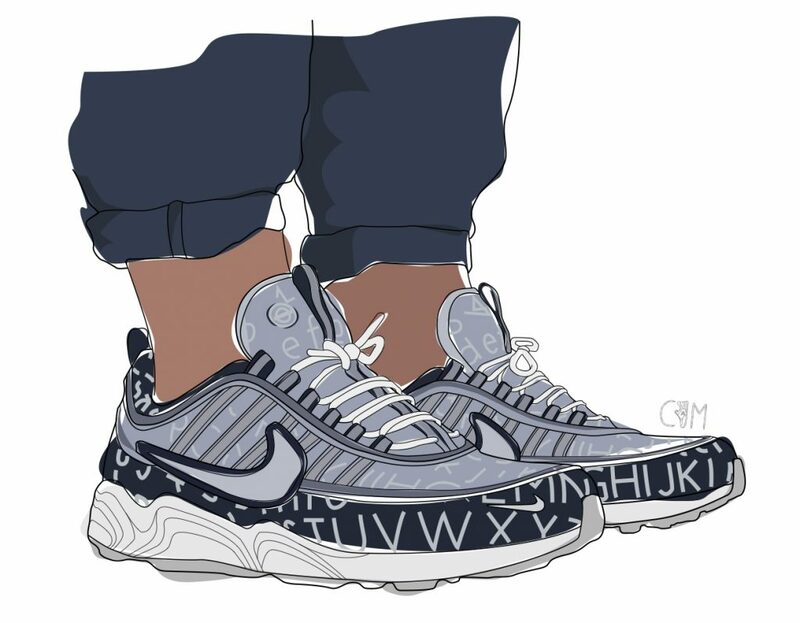 This time The Sneaker Drop is all about the Nikelab X Roundel Air Zoom Spiridon collab. Roundel London first collaborated with Nike almost three years ago, using the Air Max 90 and 91 silhouette using a pattern inspired by Misha Black’s ‘Moquette’ design of the 1970’s. This time Roundel London have exploited the retro Nike Air Zoom Spiridon silhouette as a canvas to unleash their creative minds upon. Roundel have applied the standout and aesthetically pleasing Johnston100 font that is featured on all transport systems of London onto the whole of the upper of the Spiridon. Both the navy and white colourway have a bold, synthetic leather swoosh running along the side of the retro runner as well as the mini forefoot swoosh. The lacing system, mud guard and the heel tab are all covered in 3M reflective taping and as always, is surrounded by the lightweight mesh. Both colourways have an all-white sole with the built-in Air Zoom system that provides endless energy and extreme comfort. To complete the design of the NikeLab x Roundel Spiridon, a subtle embroidered Logo of the Transport for London rests on the tongue of each pair. 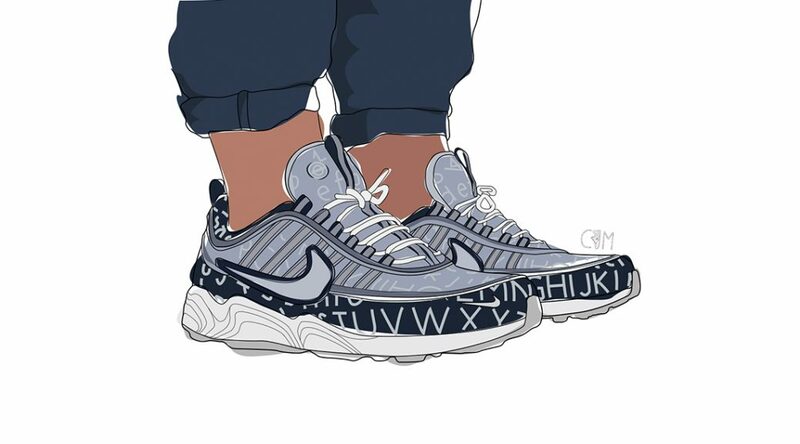 Of course our Illustrator @cam_.xv made an illustration of the Nikelab X Roundel Air Zoom Spiridon collaboration. Written by footwear contributor and UK resident Jakk Capewell. Jakk is a sneakerhead that resides in a small city within the Midlands, UK. He loves to travel and delve into the different cultures and styles of different cities. He recently started experimenting with photography and is a massive sports enthusiast. These two characteristics have only expanded his love for sneaker aesthetics.